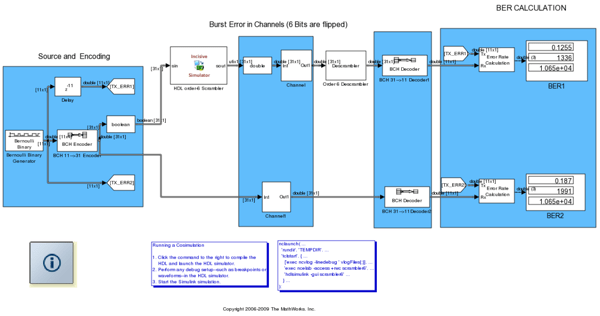 To get started, see Verify HDL Module with Simulink Test Bench. Set up the connection between the HDL simulator and Simulink. Provides an introduction to the process for integrating HDL Verifier™ blocks into a Simulink design. The steps to code and run a Simulink-as-test bench cosimulation for use with the HDL Verifier software. The steps for setting up an HDL Verifier session that uses Simulink to verify a simple VHDL® model. Provides an introduction to the process for integrating blocks into a Simulink design. Provides a high-level view of the steps involved in coding and running a Simulink-as-component cosimulation for use with the software. Next steps after you generate a function or block representing your HDL module. Generate a Simulink block to cosimulate your HDL code. Run your test bench or algorithm, including the cosimulation of your HDL module. The representation of simulation time differs significantly between the HDL simulator and Simulink. You can create rising-edge or falling-edge clocks, resets, or clock enable signals that apply internal stimuli to your model under cosimulation. A value change dump (VCD) file logs changes to variable values, such as the values of signals, in a file during a simulation session. Use HDL Verifier™ in conjunction with Mentor Graphics ModelSim®/QuestaSim® or Cadence Incisive®/Xcelium® to verify HDL code for a fixed-point Viterbi decoder. 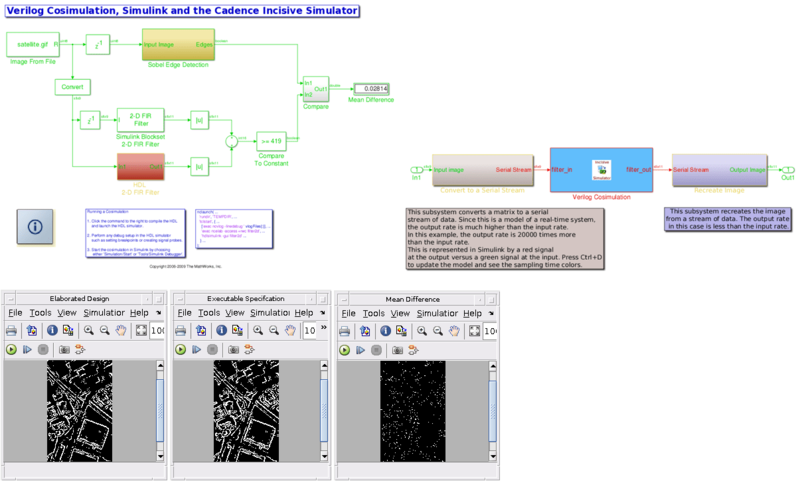 Illustrates the various Timescale settings within the HDL Cosimulation block and explains how these affect the timing relationship of Simulink® and the HDL simulator. We use a simple Verilog parity check model to show the timing relationship of Simulink and the HDL simulator (ModelSim® or Incisive®) used for cosimulation. 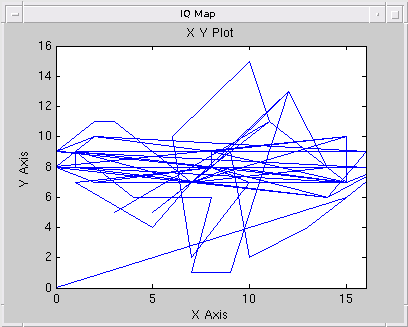 Illustrates the validation of an HDL implementation of a 6-order scrambler. A scrambler is used in communication systems to randomize transitions in the transmitted signal by shuffling the bits. One purpose of scrambling is to reduce the length of strings of 0s or 1s in a transmitted signal, since a long string of 0s or 1s may cause transmission synchronization problems. Scrambling may also be used as a cheap encryption technique. 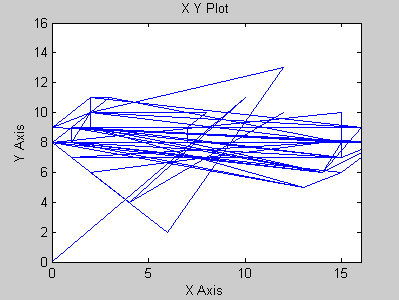 This example consists of two models. The first model (scrambler_frame) validates the HDL implementation and the second model (scrambler_fsk) uses the HDL scrambler as part of a communication channel. 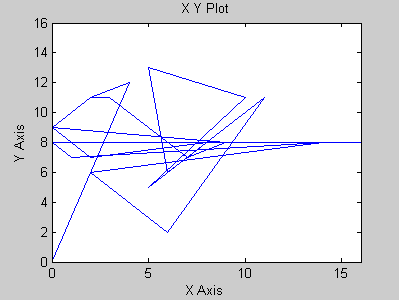 Illustrates using MATLAB® to start HDL simulator in batch mode and performing cosimulation with Simulink® using the HDL Verifier™ HDL Cosimulation block. 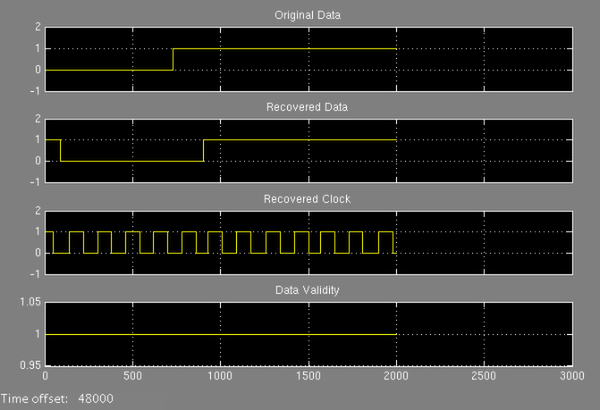 Verification of a Manchester encoder using HDL Verifier with Simulink. Manchester encoding is a simple modulation scheme that converts baseband digital data to an encoded waveform with no DC component. The most widely known application of this technique is Ethernet. Verification of a Manchester encoder. Manchester encoding is a simple modulation scheme that converts baseband digital data to an encoded waveform with no DC component. The most widely known application of this technique is Ethernet. Simulates a digital receiver of Manchester encoded data. Manchester encoding is a simple modulation scheme that converts baseband digital data to an encoded waveform with no DC component. The most widely known application of this technique is Ethernet. Verification of a Manchester encoder using mixed HDL languages, VHDL and Verilog. Manchester encoding is a simple modulation scheme which converts baseband digital data into an encoded waveform with no DC component. The most widely known application of this technique is Ethernet. And explains the "Top-Down" design methodology that is applied to Sobel Edge Detection algorithm. The Sobel Edge Detection algorithm is a popular yet simple edge detection algorithm and is the focus of this example. 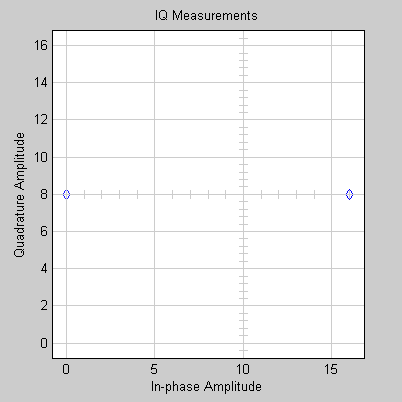 With this example you will learn: How Simulink® allows you to design a digital signal processing (DSP) algorithm at a system level.